A story of two tortured souls who are saved by the healing power of love. 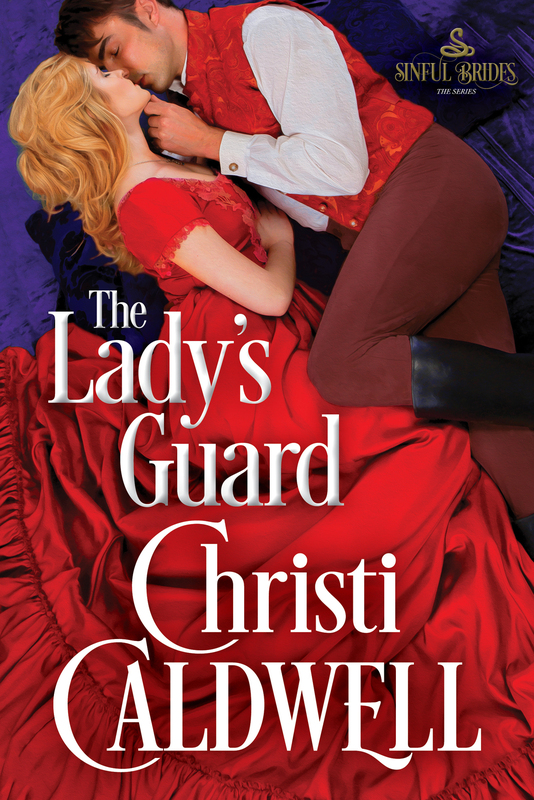 In the third installment of USA Today bestselling author Christi Caldwell’s Sinful Brides series, a kingpin of London’s underbelly risks his heart on the woman he’s hired to protect. At the notorious Hell and Sin Club nestled in London’s dark streets, Niall Marksman relishes taking the fortunes of the very same society that once disregarded his existence. Oh yes, Niall has sold his soul to the devil and paid dearly. It’s only when Lady Diana Verney appears at the gaming club looking for help that Niall knows that the devil has finally come to collect…by forcing him to protect the duke’s pampered daughter. Disdained by the peerage and ignored by her father, Diana knows that someone wants to harm her. Her only protection is Niall, a scarred, intense man who lives and dies by the knife. Now her life and safety are in the hands of the most dangerous man in London. But a man raised on the city’s mercenary streets is adept at stealing anything he wishes—including a lady’s reputation and her heart.